First you must melt down the chocolate in a double boiler, make sure you don't burn the chocolate because that has happened to me way too many times and it makes it very hard to work with. 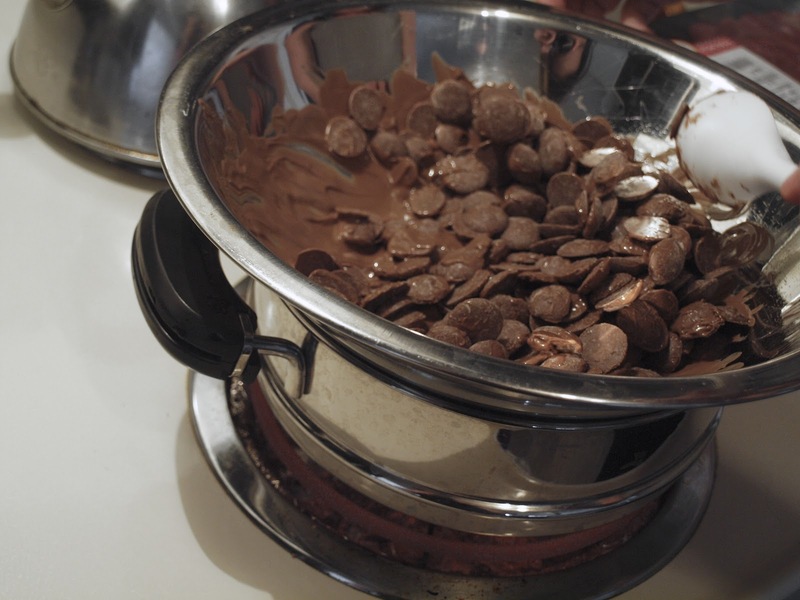 Now once the chocolate is melted, you should have a bowl filled with your pretzels... I had to break my pretzels in half because I didn't want the nests to be really big but you do it however you would like! Pour a bit of melted chocolate and stir into the pretzels, keeping adding more until the pretzels are well coated but not so much that it is a chocolate and pretzel soup. My mom ended up doing this next part because I guess I was too messy and not doing it right :( haha but anyways, spoon out the chocolate covered pretzels onto the parchment or wax paper and form into the shape of a nest. While the nests are still wet, you're going to want to stick your chocolate eggs into the middle. 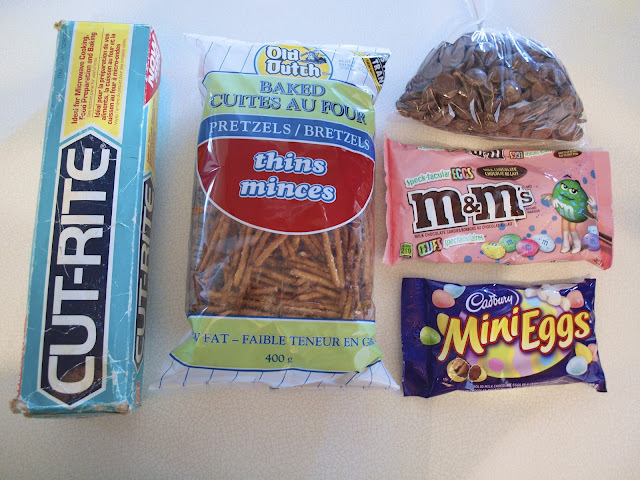 If the nests have already dried on you, you can dip the bottom of the egg in your left over chocolate and stick it on. I did this to a few nests but I don't think it looked at nice because the layer of chocolate on the eggs were very noticeable. I got them these cute easter themed take-out boxes from micheals craft store, along with the plastic eggs and easter grass. Inside one of eggs in each box I put the left over chocolate eggs from the nests, and in the other I put a Essie nail polish that matched the colour of the easter egg. 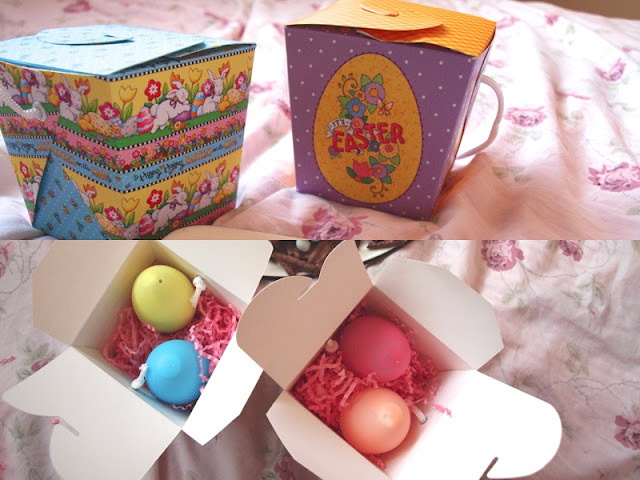 They really liked this idea, so if you're wondering what to put in someones easter basket, I suggest a bottle of nail polish in a plastic easter egg! Today I made 3 scrunchies and I am absolutely in love with them! As you can see, I made 1 regular scrunchie and 2 bunny ear scrunchies. They are actually so easy to make and I can't wait to make more... It is inspired by the topshop bunny ear scrunchie for $8, and you could probably spend the same amount of money to buy your own materials and make tons of your own handmade scrunchies! If you want to see how I made these, just watch this video (which I used) below. OKAY, if you're still here I have one more easter thing for you... My new easter nails, I know my last post was already about my nails of the week but I wasn't really feeling the polka dots and I got a new blue nail polish that I wanted to try out so yeah that's why I changed my nails again. Sally Hansen salon manicure "Barracuda"
This picture may be exaggerating the blue colour, but it is still suuuuper pretty! 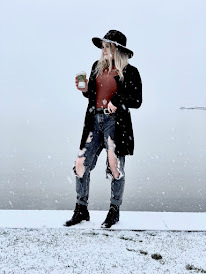 Don't forget to follow me on Blog Lovin so that you never miss out on a new post! Thank you! You should do it! Those chocolate nests look really delicious! 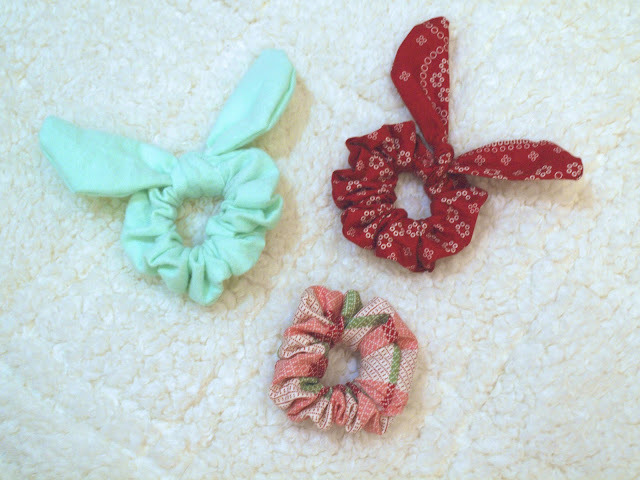 And I really love the scrunchie, goign to try the DIY when I get some time.